Today we welcome back our former colleague and committee member Mel Watt, the Director of the Federal Housing Finance Agency. Director Watt served with distinction on this committee for many, many years and was respected on both sides of the aisle. Sir, it is good to have you back in our hearing room. As we know, FHFA oversees the two enormous government-sponsored mortgage-buying corporations, Fannie Mae and Freddie Mac, as well as the 11 Federal Home Loan Banks. As all Americans painfully remember, in 2008 taxpayers were forced to bail out these $5 trillion behemoths that imperiled not only the U.S. housing market but also the entire global financial system. It was the largest taxpayer-funded bailout in history and the GSEs have been wards of the state ever since. Taxpayers should never be put in that position again. Yet Fannie and Freddie’s nine-year conservatorship little has fundamentally changed. The GSEs are today as big as they were before the financial crisis. 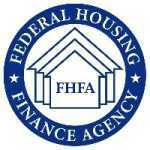 They represent a virtual government monopoly in housing finance that lacks meaningful competition or innovation. 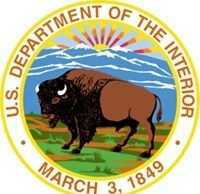 Taxpayers remain on the hook for $5.3 trillion. Underwriting standards are being eroded. I fear a number of the mistakes that led to the 2008 crisis are being repeated today. Clearly it is time – in fact it is well past time – for Congress to enact sustainable housing finance reform with private capital at its center. It is time to get off the boom, bust, bailout cycle. In order to move forward, we need to first critically assess the state of the GSEs’ nine-year conservatorship. This hearing provides an opportunity to do just that. The two most significant developments in the conservatorship clearly have been the credit-risk transfer programs and the common securitization platform. Virtually everyone believes that these two developments are key points in the transition to a housing finance system in which private capital plays the predominant role. Yet, despite these positive developments, there have been other changes under the conservatorship that are cause for concern. Those of us who worry about another taxpayer bailout should be worried about efforts to lower down-payment requirements, raise the debt-to-income ratio, and divert funds to a housing trust fund that lacks accountability—all the while taxpayers who paid to bail out the GSEs in 2008 remain in harm’s way. This Congress and this moment represent our best chance to move forward towards building a long-term sustainable housing finance system that allows Americans to buy homes they can actually afford to keep. And Director Watt, I peaked at your testimony and I wish to quote it and save you a little effort later on: “I have said repeatedly, and I want to reiterate, that these conservatorships are not sustainable and they need to end as soon as Congress can chart the way forward on housing finance reform…I reaffirm my belief that it is the role of Congress, not FHFA, to make these tough decisions that chart the path out of conservatorship and to the future housing finance system.” I quote our witness Director Watt. I agree completely with that portion of the director’s testimony and I look forward to working with him and I look forward to working with my colleagues on both sides of the aisle to tear down the vestiges of the failed GSE experiment and build in its place a new housing finance system that provides opportunity, affordability, and sustainability for homeowners, for taxpayers and for the broader economy. 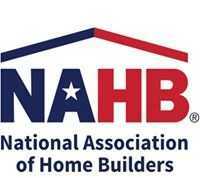 The Committee oversees all components of the nation's housing and financial services sectors including banking, insurance, real estate, public and assisted housing, and securities. 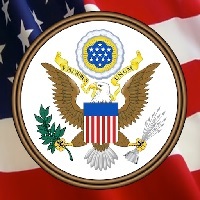 The Committee continually reviews the laws and programs relating to the U.S. Department of Housing and Urban Development, the Federal Reserve Bank, the Federal Deposit Insurance Corporation, Fannie Mae and Freddie Mac, and international development and finance agencies such as the World Bank and the International Monetary Fund. 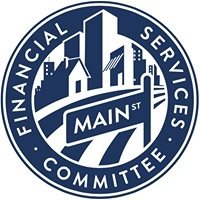 The Committee also ensures enforcement of housing and consumer protection laws such as the U.S. Housing Act, the Truth In Lending Act, the Housing and Community Development Act, the Fair Credit Reporting Act, the Real Estate Settlement Procedures Act, the Community Reinvestment Act, and financial privacy laws.